Years ago while holidaying in London I was paging through a decor mag, in it they reviewed a book called “Fast Decor: Creative Ideas for Instant Decorating” by Annemarie Meintjes & Karen Roos. I called up EVERY bookshop I could to locate a copy and trekked halfway across Londontown to buy one, for an inordinate amount of money I might add. It was breathtaking, it still is. 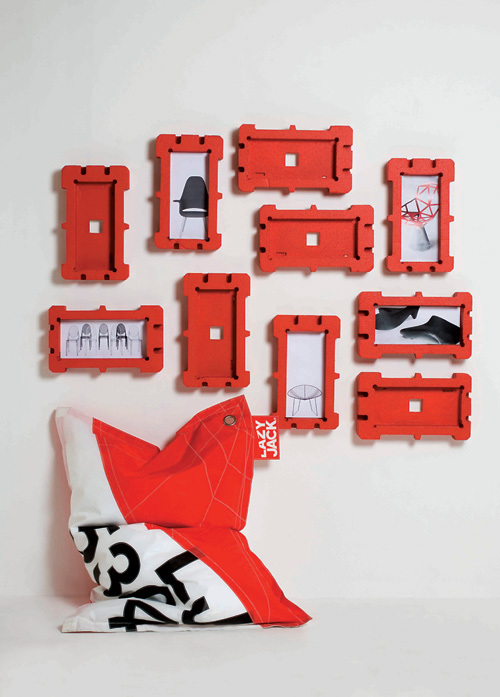 Crafty ideas that allow you to dress up or down a space without spending a fortune, and in some cases, nothing at all. Imagine my surprise when I found out both authors were South African and the book was published in SA by Struik. I was floored, and truth be told also a little annoyed at having bought a book in London only to bring it back to SA, its birthplace, though I must say the UK edition has a much nicer cover. Thus began my introduction to both of these wonderful ladies, each with their own stories. Karen now of course owns the amazing Babylostoren and Annemarie has her fingers in hundreds of creative projects, including deputy editing VISI, as she’s done since 2001. How amazing is that cover! 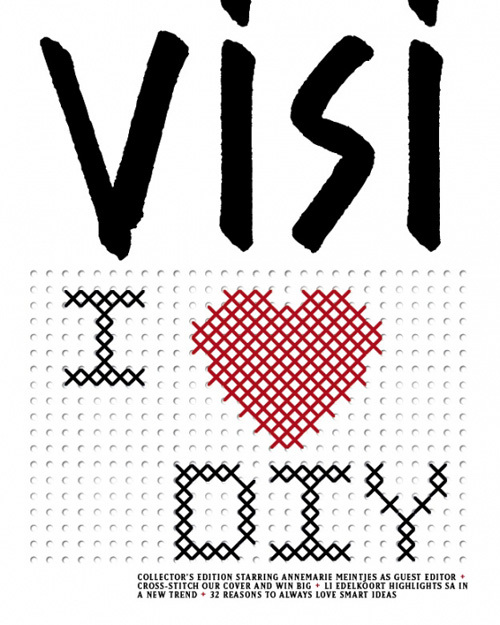 It’s something I’ve always loved about VISI, always progressively pushing the creative envelope on not only a local, but global scale. This special issue is packed with creative DIY ideas, pulled from the past 12 years of back issues. They’ve graciously allowed me to share a few images from the issue with you below. 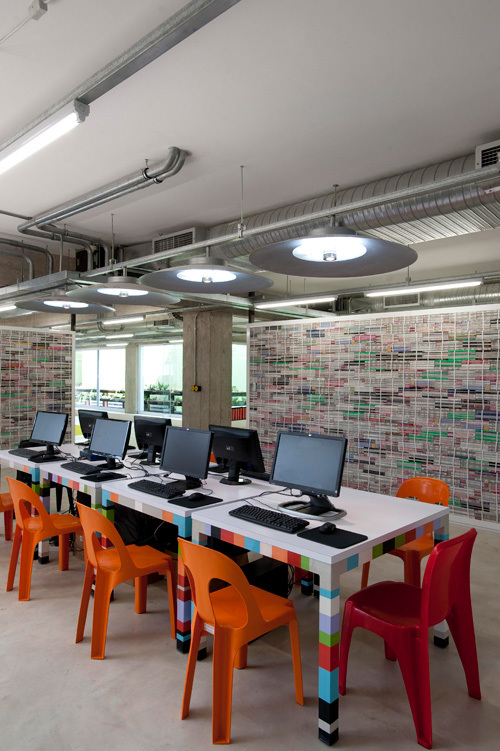 Dry wall partitioning is banal at best, why not use your old magazines and build up your own internal walls. So you know that new fandangled electronic appliance you bought, wondering what to do with the ubiquitous preformed polystyrene inserts it came with? Why not spray paint them and style your own gallery. 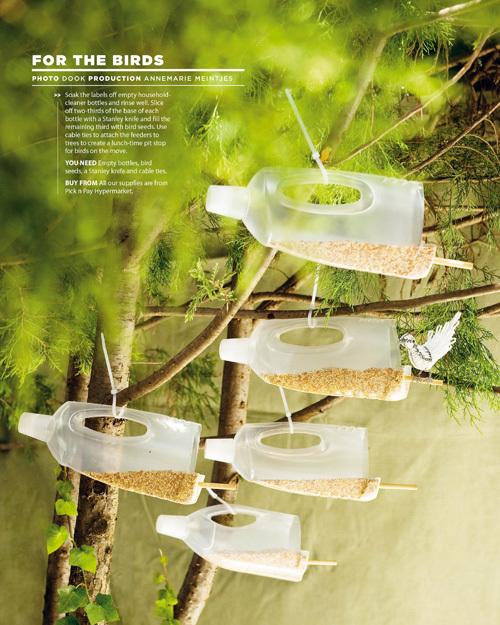 Upcycle your old milk bottles into bird friendly feeders. 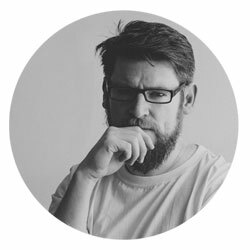 I, and this blog also get a neat little mention in their “32 Reasons to Always Love Smart Ideas” features, thanks guys! It’s in stores now, go buy a copy, they even have a digital option for those who prefer paperless mags, though good luck pushing a needle a thread through your iPad. 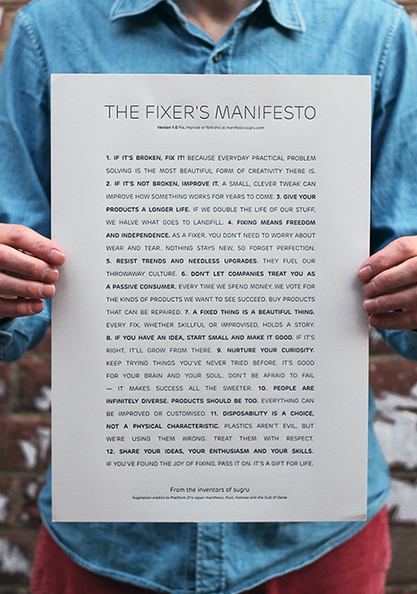 The team at Sugru deliberated amongst themselves to come up with ‘The Fixer’s Manifesto’, which aims to address and encourage the furthering of everyday items through repair, which amongst other things nurtures creativity and curbs consumerism. You can download the PDF here, or buy a lovely letter pressed edition here.